Recognized as an industry leader in innovation, BMI is committed to advancing its technological platforms while accommodating the needs of music creators and users in the digital age. BMI develops and implements cutting-edge technology for its operations platform and processes, creating business tools that adapt to the dynamic trends in the industry and deliver speed, ease and value to BMI members and licensees. 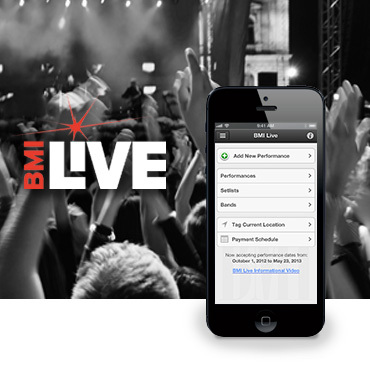 BMI Live allows performing songwriters to input up to six months of their performance data to be considered for payment. Songwriters may input their tour information at their convenience for concerts from the previous six months and receive these royalty payments quarterly. Both headliners and opening acts may input tour information, and the program is open to all BMI affiliates. 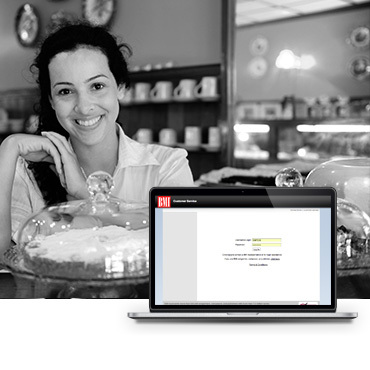 Performance data may be entered by logging on to BMI Online Services from a desktop computer, a supported mobile device or through the BMI Mobile apps. Tools to help you do business with BMI. BMI songwriters, composers and publishers can now register new songs online using our state-of-the-art automated system. 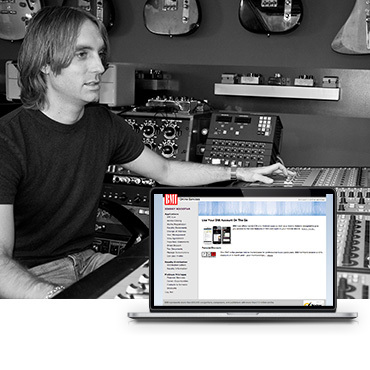 Add songs to your catalog with just a click of the mouse — and none of the paperwork. 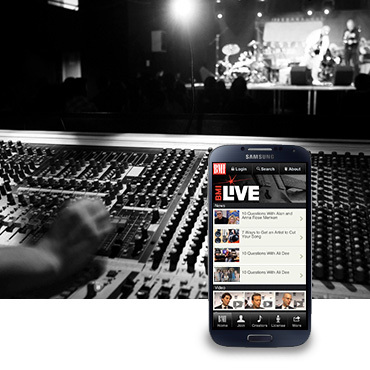 A mobile optimized website that works great on all modern smartphones. This is a special version of BMI's award-winning website, BMI.com, which has been designed specifically for the mobile environment, drawing on the content and features of our main website. Music users can apply for a license, manage accounts and contact BMI for more information.